T-SQL Tuesday #41 – Presenting and loving it? 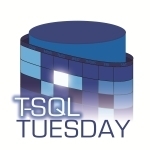 Bob Pusateri hosts this months T-SQL Tuesday. The topic is Presenting and Loving it! You’ll notice that the topic of this blog post takes the exclamation mark and turns it into a question mark. 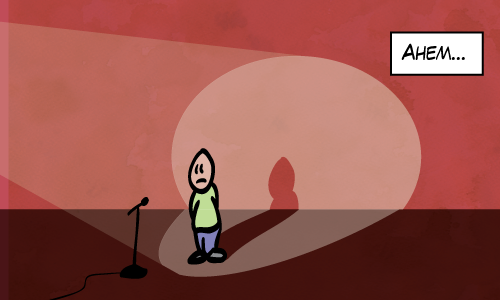 The thing is that I’m not much of a presenter. I’ve presented twice in my life to groups who were not coworkers. Three times if you count my best-man speech for my brother. In Bob’s TSQL Tuesday invitation, he asks us “How did you come to love presenting?” and “When was the first time you presented and really loved it?” I’ll let you know when and if that ever happens. But guess what? It turns out that I’m giving a talk to the Toronto SQL Server User Group tonight which will let me grow my presentation CV from two SQL talks to three. 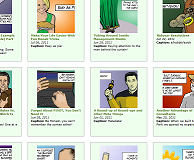 I bet no other blogger can brag that they’ve given 33% of their SQL Server Presentations on the same day as Bob’s T-SQL Tuesday about presentations. I follow Paul Randal’s advice at Configuring SSMS for presenting. I follow it to the letter. It’s easy to set up and makes SSMS readable. I install Zoomit. Just in case. I don’t think I have any content that requires it, but you never know. I installed SSMS Toolspack by Mladen Prajdić. The SQL Snippets feature (which are still way better than SSMS’s native snippets feature). Are great for keeping demo scripts at your fingertips. I have snippets for “d1”, “d2”, “d3” and “d4”. Which correspond to the demos I plan to show. So are you in Toronto today? Got plans? Come on out to the user group tonight. I expect it will be pretty fun. I’m really comfortable with the topic and so I think it will be a blast. So when was the first time I presented and really loved it? Ask me again tomorrow. I hate that I always have plans on the Toronto SQL meetings. It’s like they look at my calendar. Next time. I saw you the last time you presented – maybe both times (did you present at the Toronto SQL Saturday?) and I remember you got more comfortable as you went along. Michael, how did your third presentation go? What is your personal feedback for yourself? I am planning to do a series of posts on how to deliver better presentations really, really soon and I think they may be of help to you. However, I am ready to help in your adventure (as it really is one) in being a great presenter. Ping me on Twitter if you have any questions. I will be glad to help! @Brian That’s too bad you can’t make it. And yes, Toronto’s SQL Saturday and Toronto’s SQL Server User Group September meetings were the two other times. I hope to start comfortable this time. @Boris Thanks for the encouragement. I’ll be sure to update this comment area soon with how things went. Nice post! Best of luck with the user group presentation in Toronto tonight. Looking forward to the T-SQL Tuesday update afterwards. … Well I started out okay, then about 30 minutes in, I was interrupted by a fire alarm. And that was that. I was a disappointed. And I felt bad for the people who made time in their schedules to come out and see the talk.